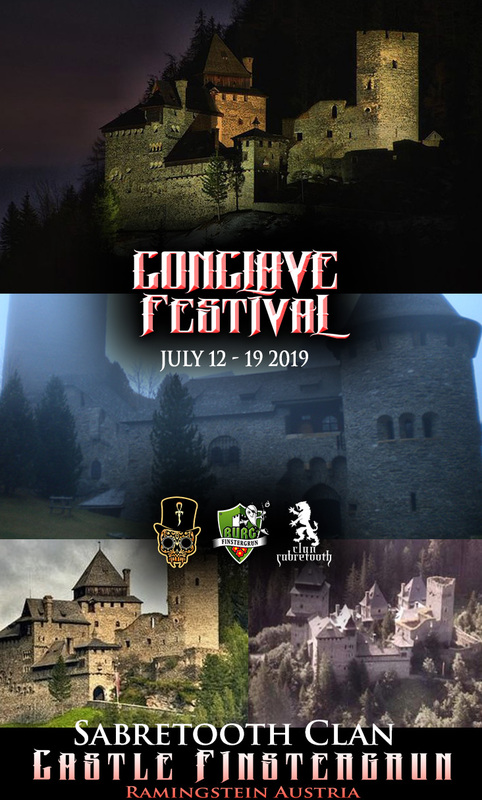 Conclave is a private gathering for members of the Sabretooth Clan in good standing which takes place every two years for a week in an Austrian castle. Think of Hogwarts meets a vampcamp. This event is invite only by Father Sebastiaan. On Saturday the castle opens to the public for one night to host an Endless Night Vampire Ball. The next Sabretooth Conclave is July 12-19th 2019.